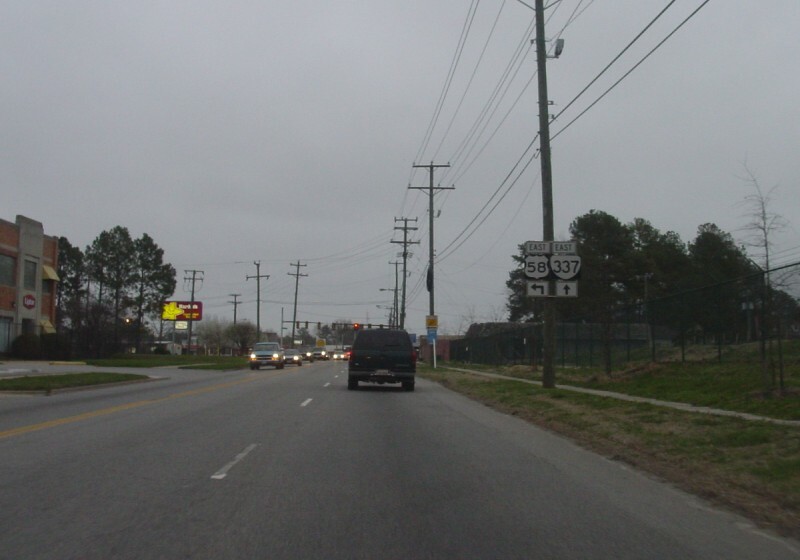 Advance signage approaching the intersection where VA 337 begins in Suffolk. The US 58 shield is somewhat in error...this road has been BUSINESS US 58 since the 1970s, when the Suffolk bypass was built. Photo by Adam Froehlig, taken March 19, 2003. At the intersection. 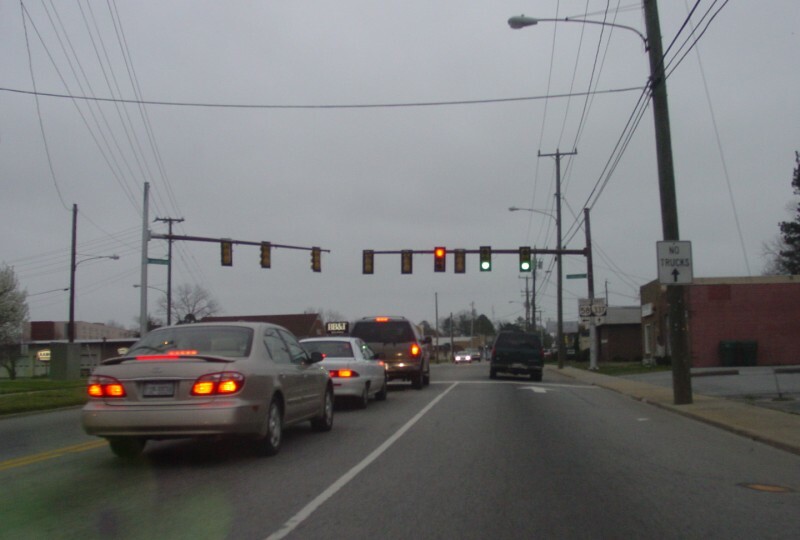 VA 337 is a very old alignment for US 58. Photo by Adam Froehlig, taken March 19, 2003.